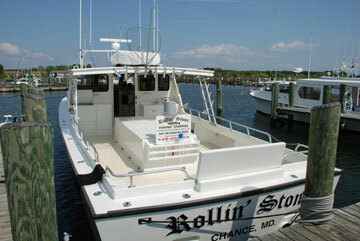 The Charter Boat "ROLLIN' STONE" a brand new 46' custom fiberglass boat built by Eldon Willing III in 2004. 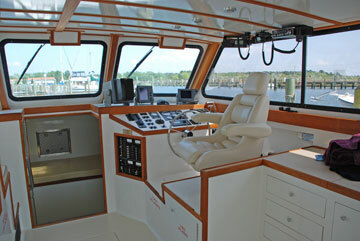 Full electronics, including 2 VHF radios, CB, color depth finder, GPS, radar and cell phone. 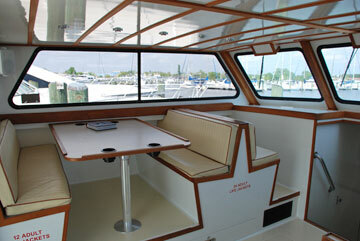 She also offers a large heated cabin now equipped with air conditioning, microwave and spacious private bathroom. 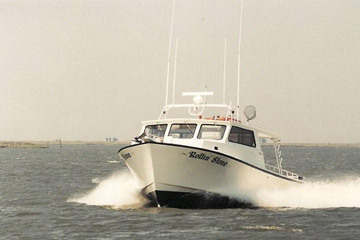 Diesel powered for a safe and reliable trip to and from the fishing grounds. Top of the line tackle. 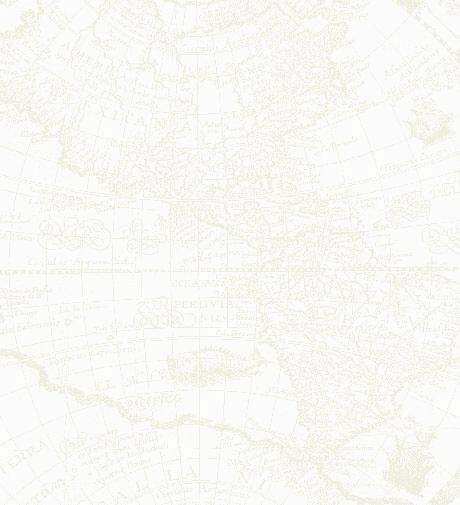 US Coast Guard certified for 35 passengers.